Bathing is an important personal need to everybody. In addition to clean up your body, taking bath can either refresh body and mind in the morning before doing other activities or reduce stress and tiresome after a whole day working. 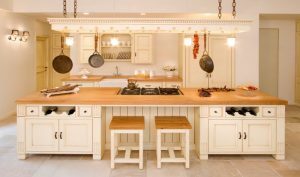 In other words, installing comfortable bathroom appliances can indeed enhance your health. Bathroom faucet is one of the fixtures you should pay attention. This device helps you enjoy the water temperature you desire automatically. 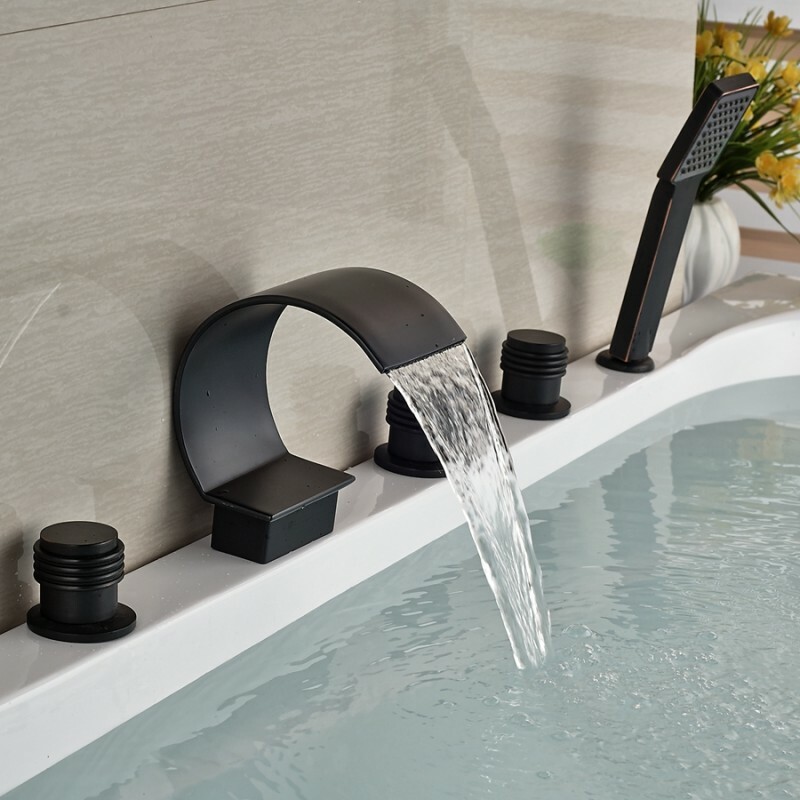 Waterfall model of your bathroom faucet is highly recommended for you who never get out of style. 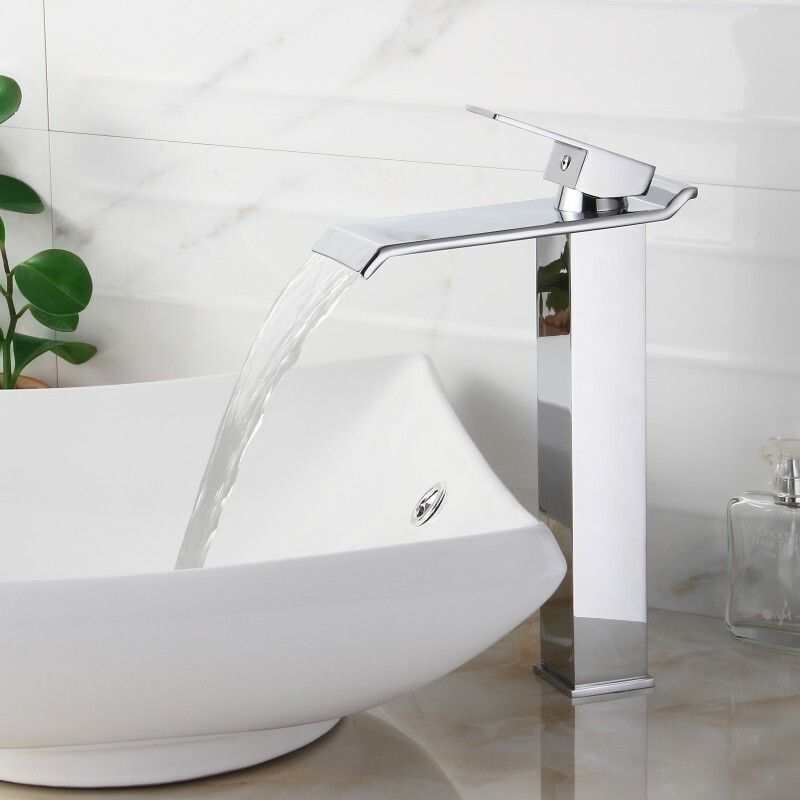 To ease you deciding which kind of faucets you need for your comfy bath, the following are five best materials you can consider. The colour of faucets made of oil rubbed bronze material tends to look bold dark brown or matte black. 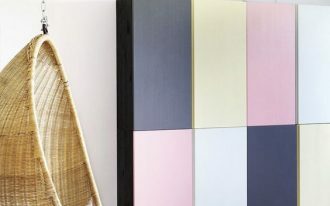 It can be multi-functional when it is installed wall mounted. You can use the faucet body as your soap holder. 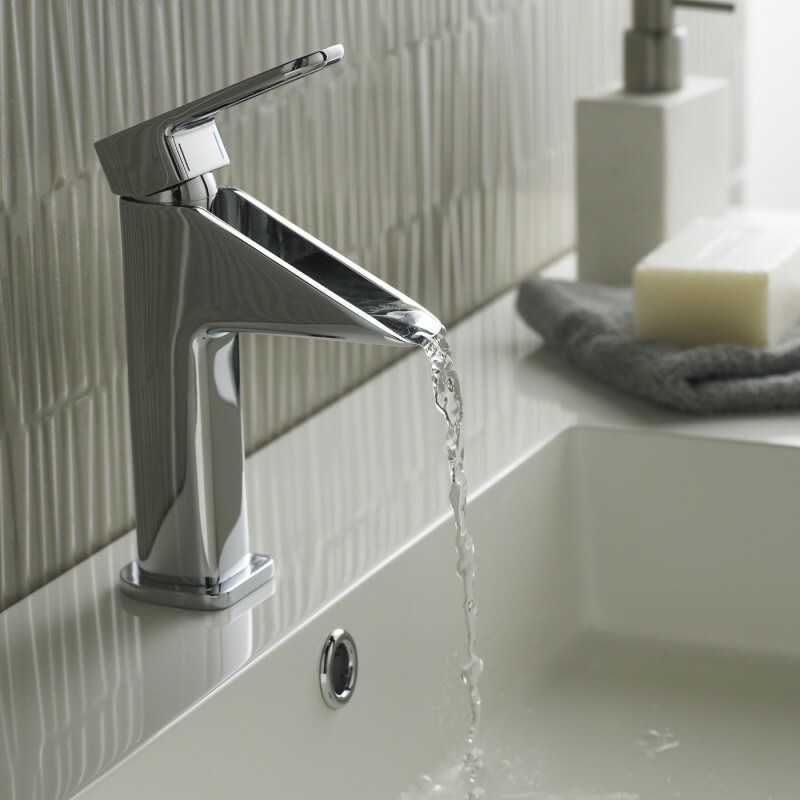 Your modern-styled house deserves a bathroom faucet with modern look. 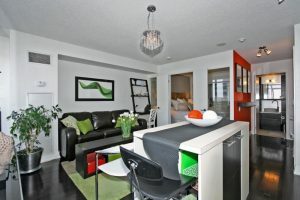 The simple shape and widespread-waterfall design will surely support the style. Installing it deck mounted makes it classier as well. 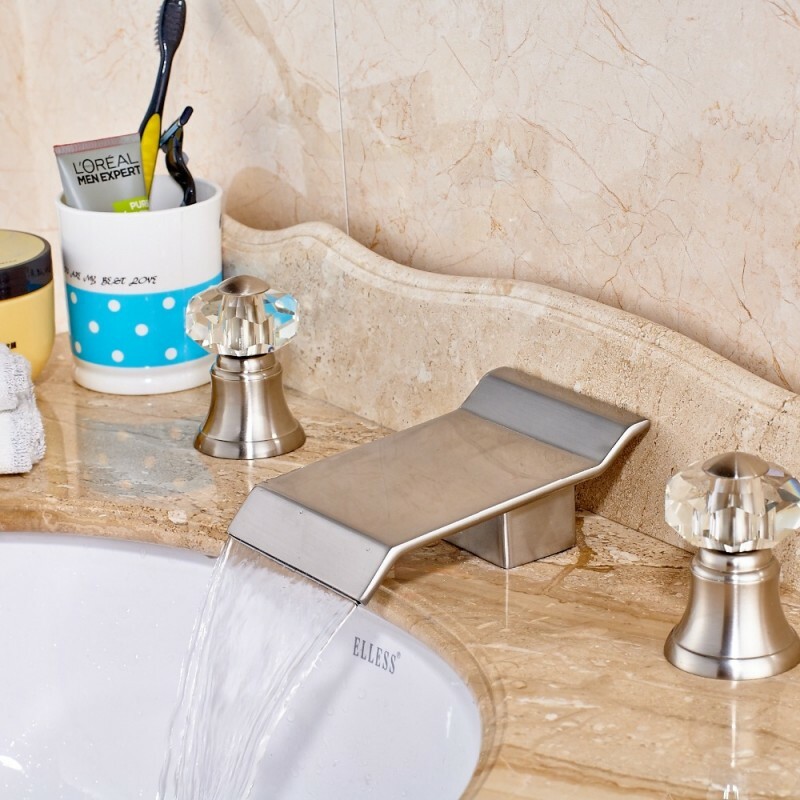 Brushed nickel gives a light grey with a little beige tone to your waterfall bathroom faucet. 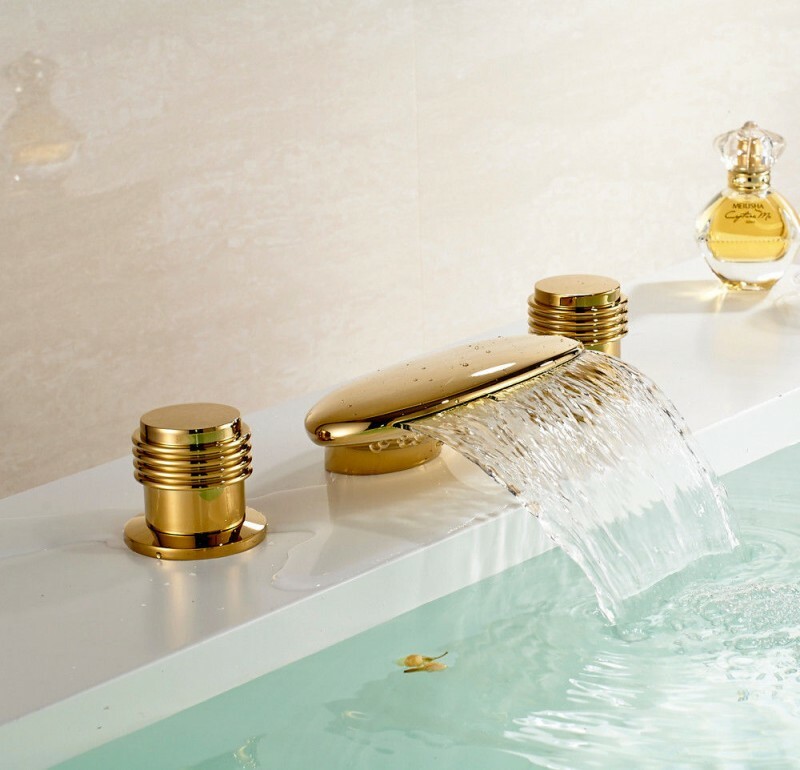 The glossy look can enhance the elegance of your bathroom. Also, this material is easy to clean. In the shape of tissue paper, this faucet expresses your sense of fashionable taste. 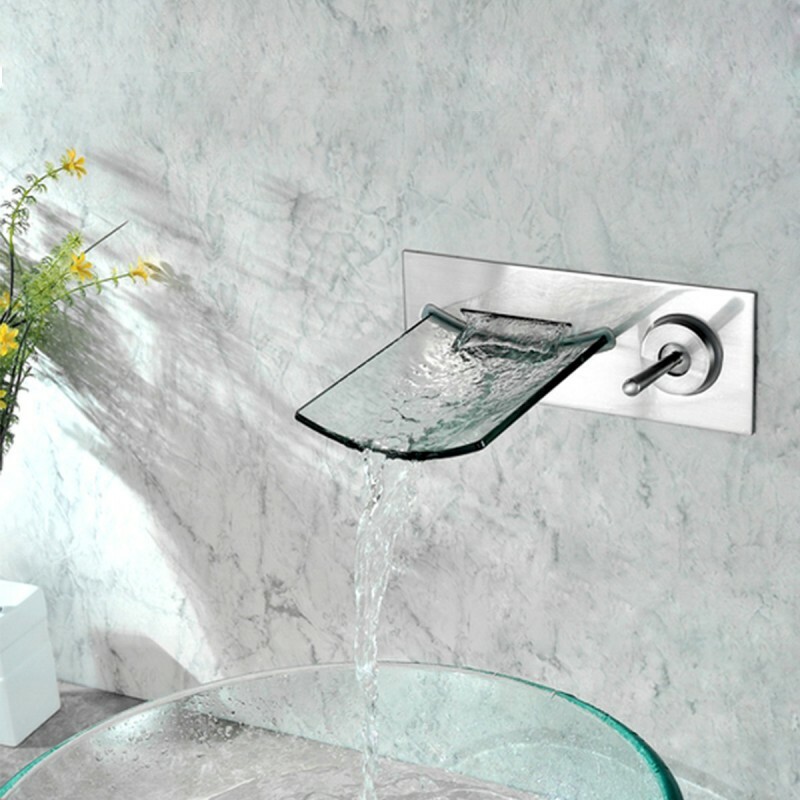 The wide-spread water will strengthen the waterfall-like in your bathroom. Nothing can uplift the simplicity and cleanliness better than glass material. Transparent look combined with stainless steel is just perfect. 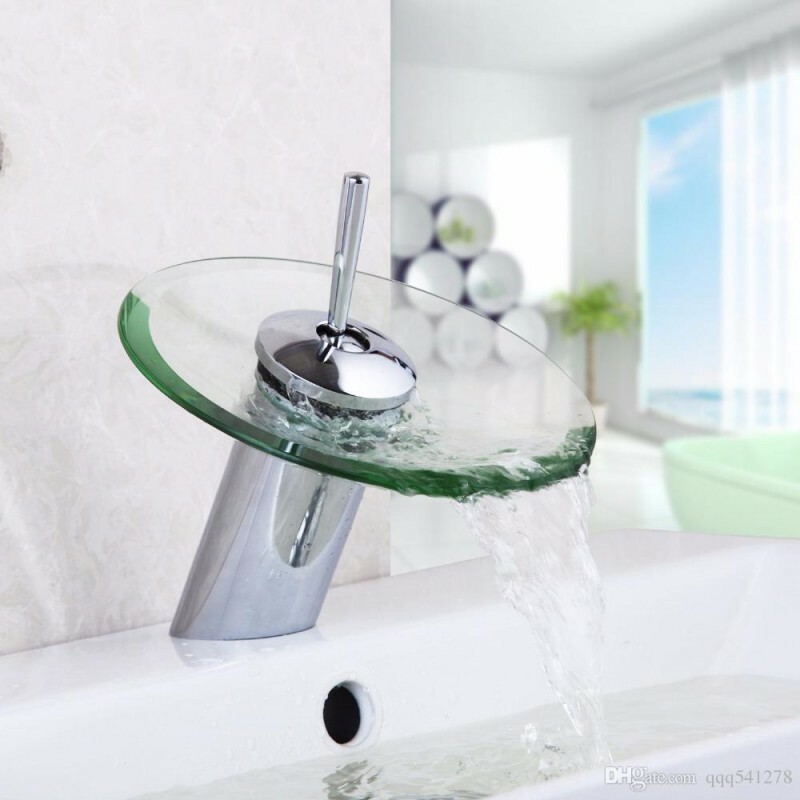 This waterfall faucet is made of tempered glass, with stainless steel handle for the control. It is fine for your bathroom faucet as well as for your sink. The next material is chrome finish. This material gives shimmering greyish look for your faucet. 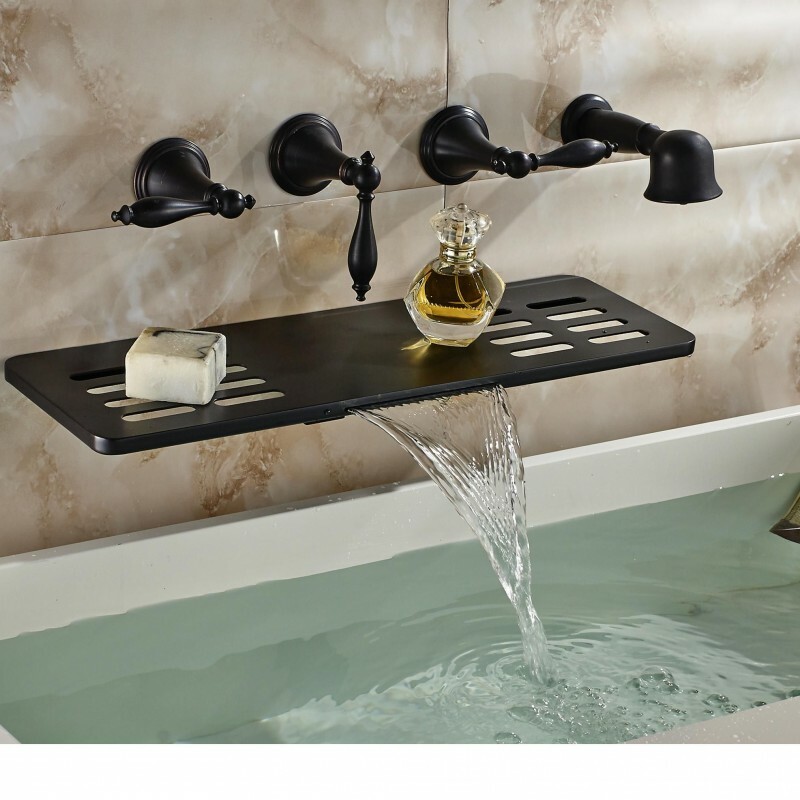 It can be mounted on the floor, higher than you bath up. A good decision you make if you choose chrome finish for your faucet. Not only the classy appearance but also the easiness to clean the dirt on it will satisfy you. 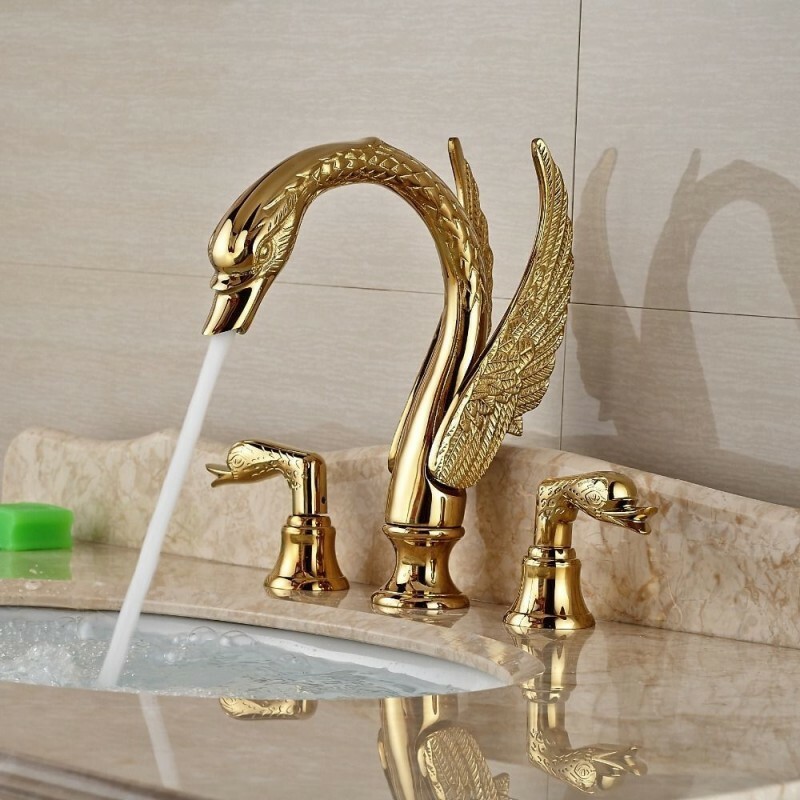 Install a swan-shaped golden faucet in your bathroom to build gracefulness nuance. 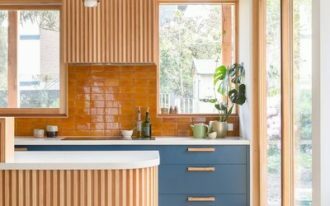 It is aesthetically satisfying to imply brass as the material. 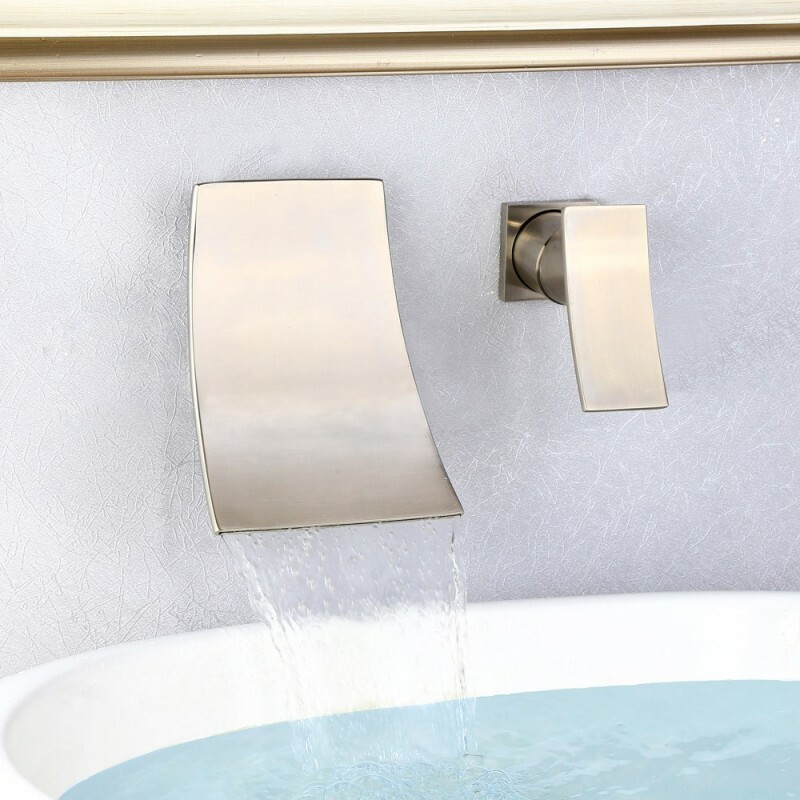 This flat oval-shaped waterfall faucet in gold is realized by applying brass material. It is deck mounted with two handles on each side. 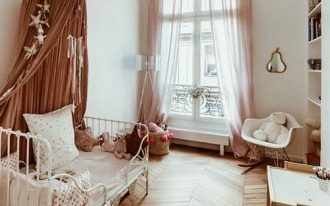 If you like classy but simple style, it might inspire you.